Picking the right pair of shades can help to reduce wrinkles on your face from increase sun exposure as well as protect your eyes and prevent them from getting red and dry. The sun’s ultraviolet (UV) rays can cause permanent damage to your eye health if not blocked by UV protective eyewear. Yes, you read that correctly, UV eye protection is important when picking out those slick looking shades. As mentioned above, the suns UV radiation can cause irreparable damage to your eyelids, cornea, lens and many other areas related to your eye. There is also plenty to data to show that excessive UV radiation exposure to your eyes can increase your risks of developing cataracts, pterygium and macular degeneration. 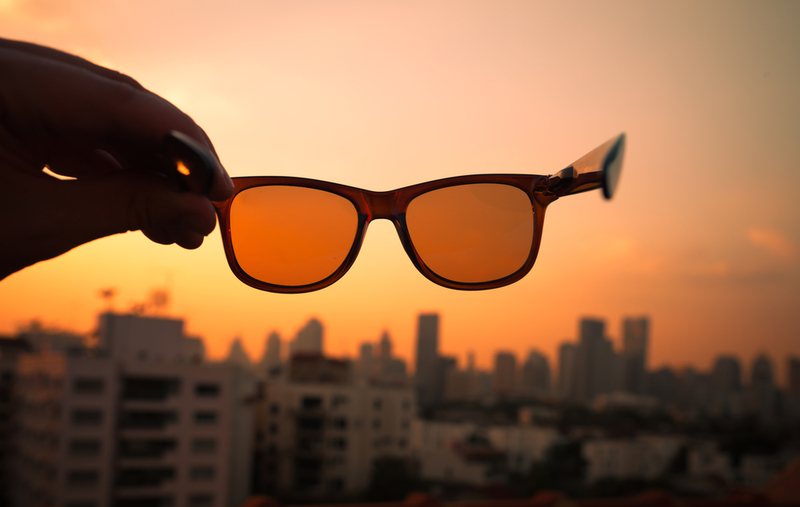 Despite popular believe, the level of darkness your lenses provide have nothing to do with how much UV rays are blocked. It is also recommended that you consider choosing wraparound and/or close-fitting sunglasses to give your eyes the maximum amount of UV ray protective coverage.